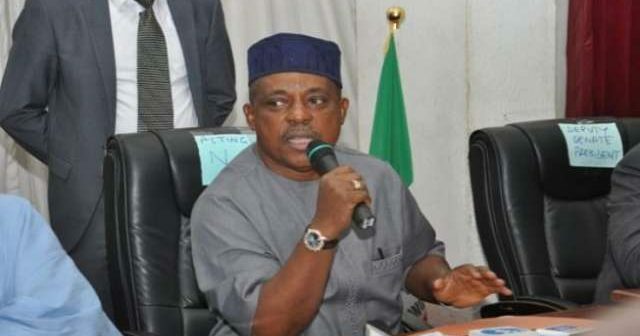 Uche Secondus, has mocked the ruling party, All Progressives Congress, APC, saying the party has broken into two. 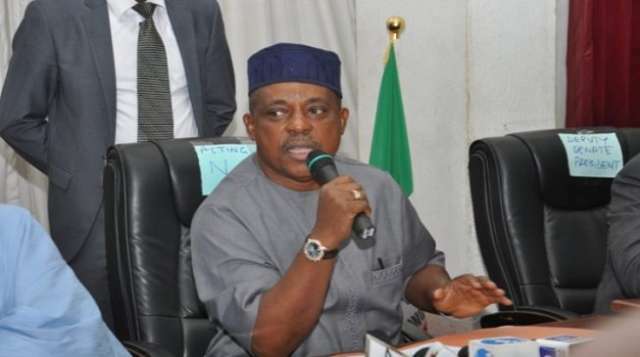 The chairman of the Peoples Democratic Party, PDP, Uche Secondus, has mocked the ruling party, All Progressives Congress, APC, saying the party has broken into two. Secondus made the statement at the flag presentation rally for the PDP governorship candidate in Ekiti, Kolapo Olusola on Thursday, July 5, 2018. At the rally preceding the July 14 governorship election in the state, Secondus went further to mock the APC governorship aspirant, Kayode Fayemi. Secondus was at the rally with members of his national working committee. He went further to say the PDP team at the rally were the rescue team that Nigeria desire. “ Standing here is the rescue team. PDP will rescue Nigeria from economic collapse, security collapse, and all sorts of inhuman treatments meted out by the APC government ,” he said. On Wednesday, July 4, 2018, the internal crises in the ruling party, APC became glaring as Buba Galadima, a former ally of President Muhammadu Buhari, led aggrieved members of the APC to a new faction named Reformed All Progressives Congress (R-APC).